Data is an integral part of our lives and is of great value to companies, as it allows us to analyze the behavior of customers and learn about their desires, which allows us to ensure the success of a product. Also, these data can be used by government agencies, research institutes and medical centers. Today, the collection of user data in most cases is carried out by different applications, different from each other, which is why the collected information does not have a single standard and can not be used effectively. That is why every company or institution that wants to achieve success in a particular area, have to format the data. This process takes a lot of time and resources. At the same time, there is currently no transparent market that allows you to buy or sell already formatted data. A new project called Unification will change the current situation in the field of data use. The main objective of the developers of the Unification project is to create an effective data market to enable users to effectively use personal data, and companies and research centers – to acquire information given to a certain standard at a reasonable price. users of applications and browsers. The main consumers of data will be advertisers, business representatives, and research institutes. 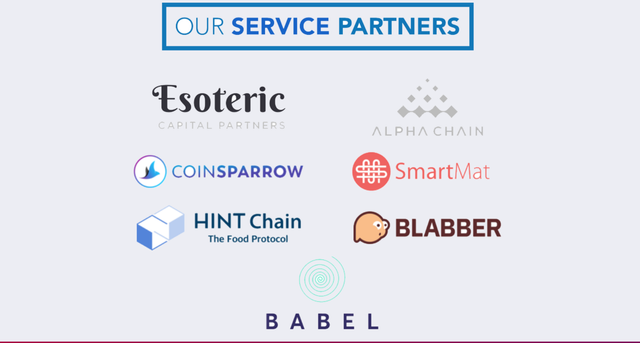 The BABEL platform will collect raw data from various applications attached to IT, bring the information to a certain standard and place it for purchase, thereby increasing the efficiency of companies and institutions. The second participant in the data market of the BABEL platform will be applications that collect data. 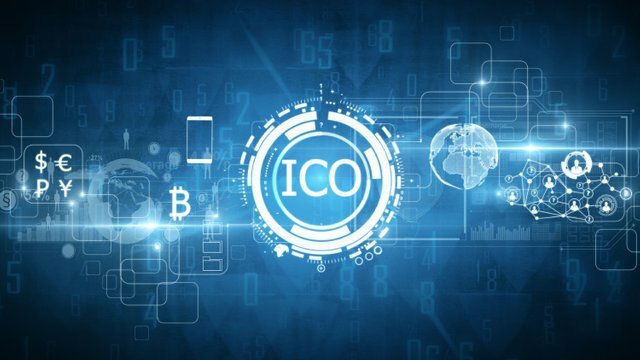 The information stored in these applications will be converted into a “tokenized” format and placed on the market, where it can be easily acquired by data consumers. At the same time, application developers will receive only a part of the income from the sale of data. This is due to the use of a unique technology HAIKU Smart Contract, which with the help of a special code determines the original Creator of the data and curator information (application). At the same time, within the market, each of the application developers will be able to view the amount of data generated, the type of information collected and their own income. For users of applications and browsers, the BABEL application will act as a trading platform, within which they will be able to send requests for data exchange, as well as receive information about the volume and type of data generated. In addition, they will be provided with a wallet on the platform to store internal UND tokens. 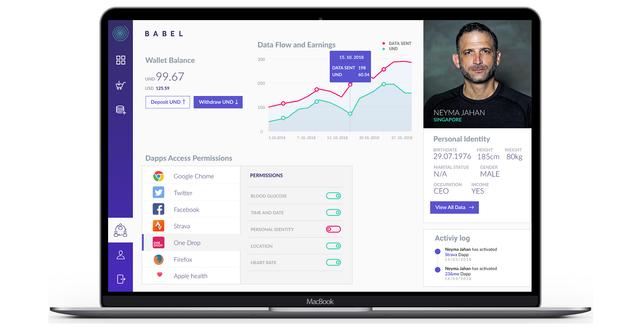 A distinctive feature of BABEL will be a user-friendly interface that allows you to control the flow of data and privacy settings in just a few clicks, within which the user can limit the transfer of personal information. Thus, when setting restrictions, the user will be able to independently determine what type of data he is ready to share with companies, and what data he would like to hide. All data will be stored in a dedicated stand-alone storage CAPSULE, which allows you to reduce operating costs and increase the speed of operations. The security of the system will be provided by the smart contract MOTHER, which provides verification of each member of the platform and eliminates the risk of fraud. The idea of creating a platform for honest data exchange, where all the information collected is brought to a single standard that simplifies the research and analysis of information, may be of interest to most companies, application creators, research centers and ordinary users. All these participants will provide a huge audience for the Unification project, which will positively affect the price of tokens. Therefore, investing in the development of this idea can be very profitable.